As futuristic as it may seem, chatbots seem to be slowly taking over the customer service industry. Many websites will have an automated chatbot pop up when you enter their page, either welcoming you, asking if they can be of any assistance, or offering advice or a discount. It is no wonder that such a wide range of companies are now integrating these into their customer service, as just by being there, they support and scale a business team’s relationship with customers. A few of their many benefits can be found below. The majority of eCommerce sites and other business are now working on a scale that is larger than just their country, which means they could be working with a range of time zones. Not only that, but the majority of people choose to browse online in their free time, such as evenings and weekends, when customer service teams may not be working. Chatbots solve this problem, as they are accessible 24/7, to answer customer queries. As robots, they never get tired, and will have no problem working through the night! If it were a human on the other end of the chat service, at most they could handle one or two chats at a time. Chatbots, on the other hand, can hold conversations with literally thousands of people simultaneously with no problems. Some customer service techniques are best suited to certain industries, but a chatbot pretty much will work for anyone. They are simple to ‘train’ to use the right conversation structure for the industry, and can be altered at any time. No matter how rude the customer or how difficult they are being, the chatbot is not ruled by any emotions, therefore will remain polite and use ‘the customer is always right’ motto continuously. Customers tend to like the smooth interaction that a chatbot can provide. 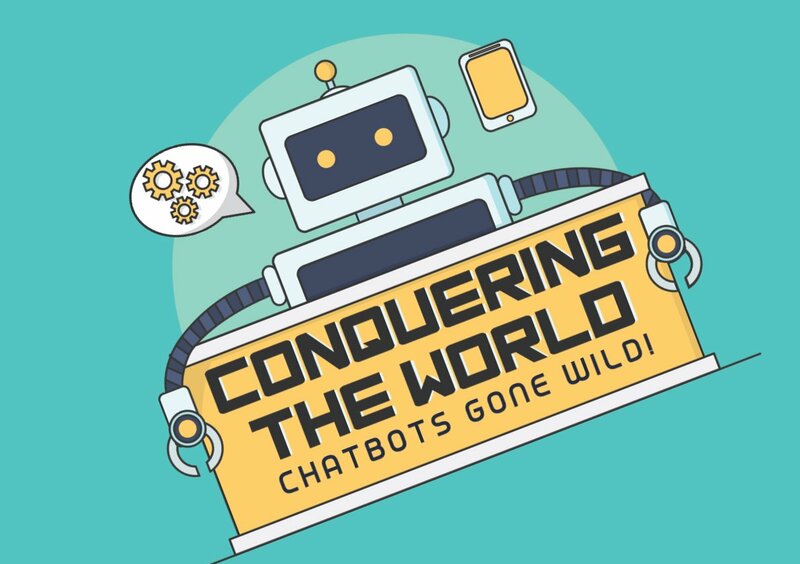 The number of brands and merchants using chat bots is ever-increasing. This infographic from 16best outlines a multitude of predictions and fun facts as to the chat bots' upcoming development.